Curtains form an important decor item in your home furnishings as they complete the desired look of your house and make an important style statement. They reflect one’s tastes and add meaning to your room and that is a reason a lot of time is spent by designers in choosing the right design and patterns before making a final choice. 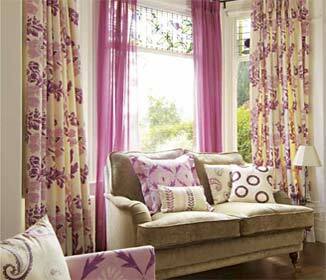 If chosen correctly, curtains can add life and lend a soothing effect to your interior. Decide on the fabric and color to be used: You can go for cotton, silk or a velvet cloth depending upon the type of look you need in your room. Cotton goes well with all types of decor, whereas if you need a royal look, opt for silk or velvet. 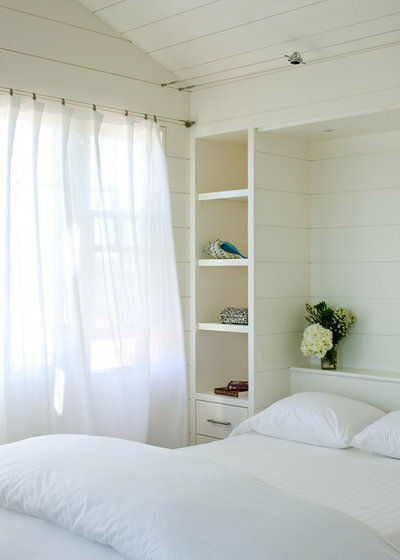 Similarly, neutral colors are ideal for a room with a lot of sunlight and dark colors are ideal for bedrooms. Decide on whether you need to hang them on rods and fit them into it. The rod, hooks and finials should me in sync with entire décor. 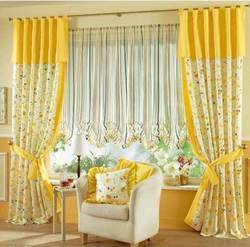 Take precise measurements of the windows and door for which curtains are needed. It should have a sufficient width for folds to appear evenly and cover the specific area too. 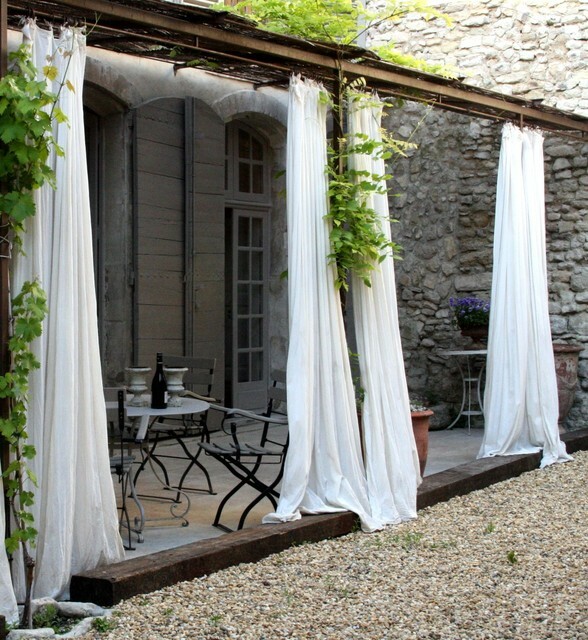 If there are some nice bed sheets that no longer fits your new bed, consider taking its cloth for curtain. 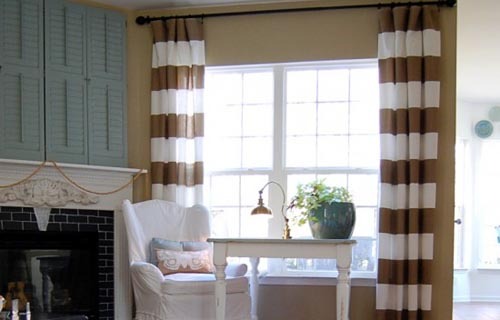 Measure the length and width of the window for which you need a curtain. 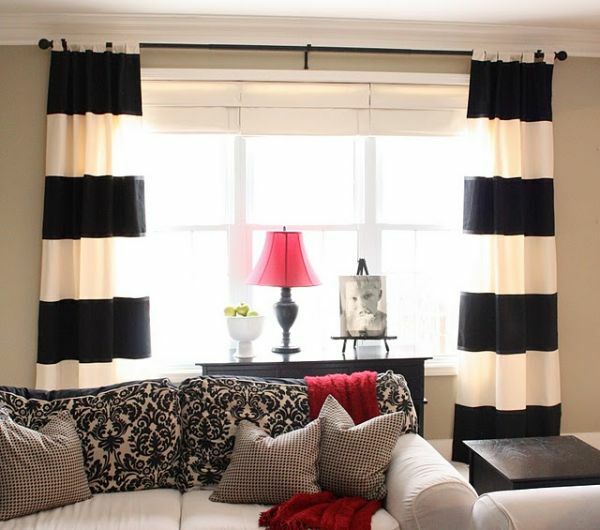 The length should start from the curtain rod to a little below the window. Allow few inches for hemming- 6 inches for the length and 4 inches for the width. Iron your chosen fabric in order to have a neat and clean cutting. Cut the cloth as per measurements of the window keeping those extra inches for hemming across the length and width. Keep the cloth with the wrong side up and fold the side edges over ½ inches twice, iron them and pin them with straight pins. Stitch these hemmed sides close to the fold with help of a sewing machine and keep removing pins. Now fold and stitch the top hem. First fold it over ½ inches twice, iron it and then fold it again at 4 inches to make a pocket like arrangement, press and pin it. Stitch this hemmed edge near the fold to make a pocket for the rod. Remove pins. Now make the bottom hem by folding it over ½ inches twice and stitch it from inside close to the fold away from the edges. 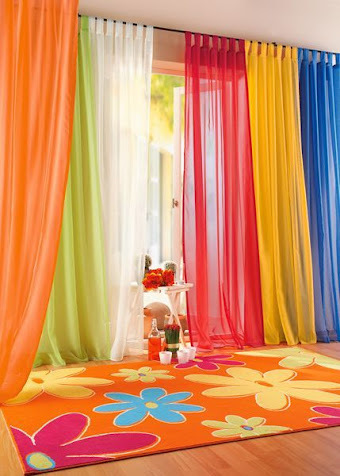 Repeat the above steps with other curtains and your simple décor is ready to be hung.